ST. JOHNS COUNTY, Fla. - The body of a missing man was found Wednesday morning in St. Johns County, according to deputies. The St. Johns County Sheriff's Office said deputies recovered the body in the water just off the Julington Creek Bridge at State Road 13. A Sheriff’s Office spokesperson said foul play is not suspected. 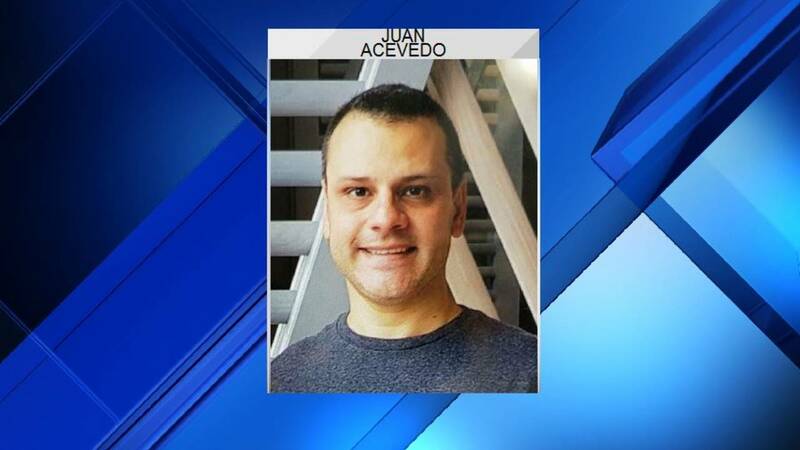 Deputies confirmed Thursday that the body was 47-year-old Juan Acevedo, who was reported missing after he had last been seen Friday morning walking on Satsuma Road in Fruit Cove. We are sincerely grateful for the kindness St. Johns County has extended to our family during this time. We have been hugged, consoled and shown a great deal of sympathy and it has gone a long way in helping us endure this tragedy. My brother was loved his whole life and that will never change. We will get through this as we always have, as a family. Thank you for all the prayers and well wishes, we will never forget it."